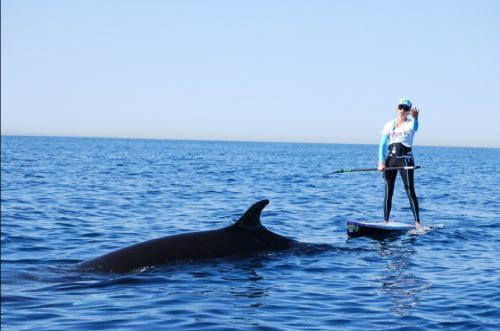 I read an interesting story today about someone paddling 40 miles while being escorted by a minke whale. But I think there's more to the story than just a nine hour aquatic adventure. Jodie was called to do something extraordinary and peculiar and hoped for help from man(celebrities). But when man didn’t answer the call, she didn’t dismiss her calling/mission/vision. She didn’t give up hope. And now it looks as though something supernatural will provide her a vehicle to achieve her calling/mission/vision that she could have never designed or planned for.